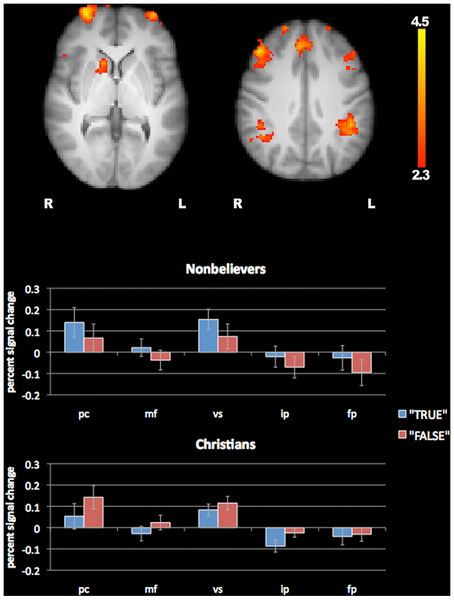 Sam Harris and other UCLA researchers published a study of religious and nonreligious thinking in the brain using functional magnetic resonance imaging (fMRI). Lisa Miller at Newsweek reports on the study. 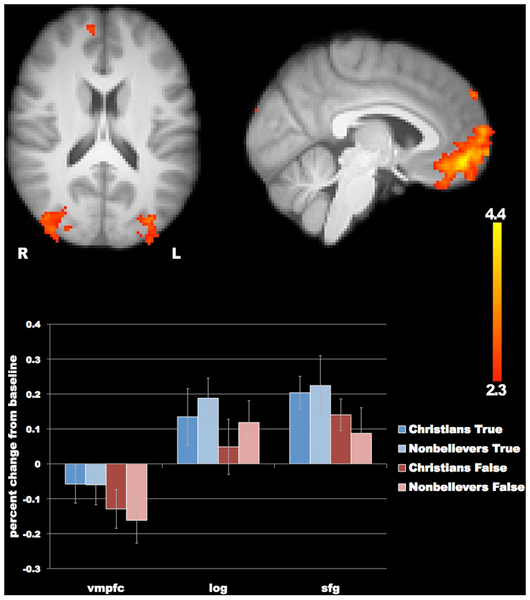 What Harris, his fellow researcher Jonas Kaplan, and the other authors of the study want to address is the idea, which has been floating around in both scientific and religious circles, that our brains are doing something special when we believe in God—that religious belief is, neurologically speaking, an entirely different process from believing in things that are empirically and verifiably true (things that Harris endearingly refers to as “tables and chairs”). He says his results “cut against the quite prevalent notion that there’s something else entirely going on in the case of religious belief.” Our believing brains make no qualitative distinctions between the kinds of things you learn in a math textbook and the kinds of things you learn in Sunday school. Though the existence of God will never be proved—or disproved—by an fMRI scan, science can study a thing or two about the neurological mechanisms of belief. What Harris’s study shows is that when a conservative Christian says he believes in the Second Coming as an undeniable fact, he isn’t lying or exaggerating or employing any other rhetorical maneuver. In honor of yesterday’s International Blasphemy Day, here is an image of believers’ and atheists’ brains responding to blasphemy.